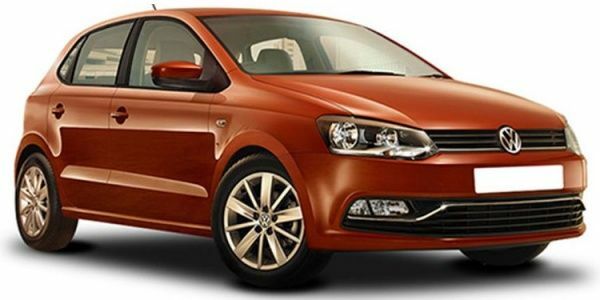 Volkswagen has launched special edition versions of the Polo, Ameo and Vento. Christened the Black & White edition, the limited-run models gets a host of cosmetic updates to keep things fresh. Available only on the Polo Highline Plus, Ameo Highline Plus and the Vento Highline, the cars stylish graphics on the body, ‘Black & White’ leatherette seat covers, sporty roof edge spoiler, glossy rear spoiler, 16-inch alloy wheels, black painted roof, black ORVM and a Black & White chrome badge on the fenders. The Black & White Edition is available at the same price as the current car’s top-spec variant. Volkswagen Polo prices start at Rs. 5.72 lakh for petrol and goes upto Rs. 9.60 lakh. The prices of Polo diesel variants start at Rs. 7.24 lakh and the top-end diesel is priced at Rs. 9.72 lakh. Volkswagen Polo is available in 10 variants and 6 colours. Share your experiences with Polo? The claimed ARAI mileage for the Volkswagen Polo petrol is 18 kmpl, and for the Volkswagen Polo diesel is 21 kmpl. Q. Existing Polo is BSIV or BSVI. if not BSVI when will be launch and it's better to buy BSVI to avoid wait. Q. Is rear knee room is good for a 6 foot person? Q. Is the back seat foldable Can I get a dog fit in the rear seat? I own polo so obviously I will suggest you Polo over i10 kappa from the riding comfort of view. Q. Which one is the best variant? With the premium hatchback segment growing like never before, Volkswagen has added a few additional features to the popular Polo. Is it enough to lift the Polo up to the segment standards? VW Polo holds special significance in the stable of German automaker and though it doesn’t sell like the hotcakes, it still constitutes respectable chunk in the total sales of the VW every month. The highlight of the Polo’s design is its uncluttered lines and of course, the vault-like build quality. The interiors too epitomize the finishing finesse and despite the bland design, the Polo scores big on the quality and ambience. The engine options include a 1.2-liter petrol and 1.5-liter diesel motor coughing 75PS/110Nm and 90PS/230Nm while for the driving enthusiasts, the VW has GT version churning a whopping 105PS/175Nm from the same 1.2-liter petrol. The gearbox options include 5-speed manual transmissions for standard versions while GT trim is coupled with 7-speed automatic gearbox. The Polo is retailed between Rs 5.42-9.56 lakh (ex-showroom, Delhi) and is rivalling the Maruti Swift, Hyundai Elite i20, and Maruti Baleno among others. It’s among the classiest looking hatches around. The clean lines and the conventional shape makes it stand out of the current crowd of 'modern' looking hatchbacks. The design is in sync with rest of the Volkswagen family and is accompanied by robust build quality. The GT variants add a sportier set of wheels, black wing mirrors and a spoiler to go with the added power. They might look borderline boring and not have much in terms of room for rear seat occupants. But, the build quality is like nothing else in the segment. The top-spec trim gets goodies such as a touchscreen infotainment system, automatic climate control and cruise control. Volkswagen offers dual airbags and anti-lock brakes as standard across the range, which isn’t surprising. The German hatch can be had with one of three engines. The options include a 1.0-litre petrol and a 1.5-litre diesel on the standard variants and a 1.2-litre turbo-petrol and a souped up version of the diesel on the GT trims. Volkswagen are looking to replace the 1.2TSi engine with a new 1.0-litre turbo petrol that could make anywhere between 85PS - 115PS depending on the state of tune Volkswagen gives it. If you’re looking to have fun, the TSi is the one to pick. The diesel can munch highway miles for eons, and the three-cylinder naturally aspirated motor is best avoided. The Polo comes in a total of 10 variants. Prices start at Rs 5.14 lakh and top out at Rs 9.34 lakh. The GT TSi is the driver’s car of the lot, and should be on your list if performance is a key criteria. If it’s bang for buck you’re looking at, the Comfortline variant ticks all the right boxes. Hyundai Elite i20: The one that has it all! The Elite i20 brings a sense of class and features to this segment like no other. Premium build, loads of kit on offer, looks that turns heads and space for five. What more do ya need, eh? Honda Jazz: With space that would shame a few apartments in Mumbai, the Honda Jazz is a sensible hatch for the practical lot. The engines are refined, equipment levels are on par with its peers and it’s backed up by Honda’s repute of reliability and after sales support. Maruti Suzuki Baleno: A properly well-rounded package, the Baleno is hard to fault. It’s got the right mix of fun, practicality, tech and frugality. Yes, it isn’t the freshest hatchbacks around, nor is it the most spacious. But, the rock-solid build quality and the fun-to-drive nature of the GT variants are more than enough to have you rush for the chequebook. Rear-Engined ‘Winter Project’ Volkswagen Polo Race Car Unveiled! The ‘Winter Project’ is Volkswagen Motorsport India’s way of entering its 10th year in the country. Give us the keys already! Nice but more features should be there.